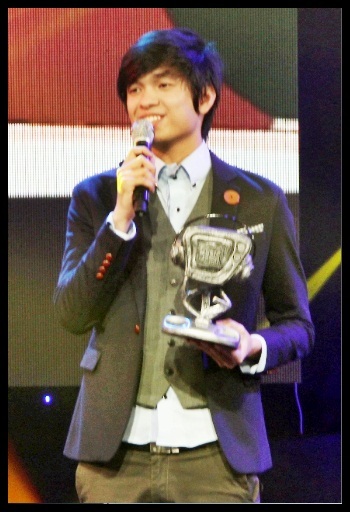 My favorite electronic-pop sensation Somedaydream bagged the “Favorite MYX Celebirty VJ”. Since debuting at last year’s MYX Music Awards, so many good things came along for this talented Ateneo student, leading him also to a MYX Celebrity VJ stint in June 2011. Since 2006, MYX, the number 1 music channel in the Philippines, honors the biggest hitmakers in the Philippines via the MYX Music Awards.